Anglers come from miles around to enjoy the various fishing opportunities found in the Bear Lake valley. Bear Lake is home to a trophy cutthroat trout fishery where the Idaho State record cutthroat of 19 lbs. was caught. Lake trout also inhabit the lake and may grow to 30 lbs. Trolling and jigging from boats can be done throughout the year (winter and spring months being the most productive). There are four endemic fish species in Bear Lake: the Bonneville Cisco, the Bonneville Whitefish, the Bear Lake Whitefish, and the Bear Lake Sculpin. The January-February spawning run of the Bonneville Cisco draws fishing enthusiast who dip nets to capture the small swift fish. Anglers also dunk worms, cast lures and float artificial flies on many of the area lakes, reservoirs, streams and creeks. Float tubes are especially popular at Montpelier Reservoir. The Montpelier Rearing Pond has easy access for small children and physically-challenged individuals who wish to fish. The Idaho Fish & Game Take Me Fishing Trailer visits the Montpelier Rearing Pond a couple times a summer. Fishing gear for use by the public for free, fishing instruction, and if you register at the trailer— no fishing license is necessary! Utah Division of Wildlife Resources – Bear Lake Utah Hunting and Fishing information. Buy hunting and fishing licenses. Idaho Fish and Game – Bear Lake Idaho Hunting and Fishing information. Buy hunting and fishing licenses. Idaho fishing license vendors. 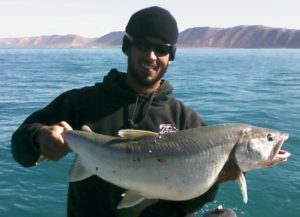 Bear Lake has four species of fish that cannot be found anywhere else in the world, with the Bonneville Cisco being the most well known. They move in close to shore to spawn in mid January and can be dip-netted through the ice. Bear Lake is ice covered four out of five years and jigging for trout and whitefish is a favorite activity for those who brave the cold outdoors to fish. The Montpelier Reservoir is also a close place to go ice fishing. 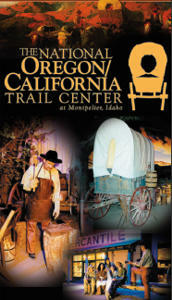 Located only minutes east of Montpelier, Idaho, active rainbow trout are the main attraction. Have you been fishing on Bear Lake? Please take a moment and fill out this survey to help us collect valuable fishing information for Bear Lake. True Bear Lake Valley outdoor enthusiasts love and respect the wild resources that we have here. We welcome all hunters and anglers to come and enjoy, however, poachers are not welcome here! The Bear Lake valley is patrolled by both Utah and Idaho law enforcement and conservation officers. Poachers of our fish and game are prosecuted to the fullest extent of the law in order to protect our natural resources. Eyes are everywhere and poaching misdeeds are reported to the local authorities. If you witness any poaching activities, please call Idaho Citizens Against Poaching at 1-800-632-5999, or the Utah Poaching Hotline at 1-800-662-DEER. Bloomington Lake is a high elevation (8,200 feet) 10-acre glaciated lake with a good population of trout. Access is by Bloomington Canyon by high clearance vehicles only. The last one-quarter mile is limited to foot travel only. Enjoy beautiful scenery of wildflowers, huge cliffs and 2 lakes.